What Kind Of Protection Do We Need? 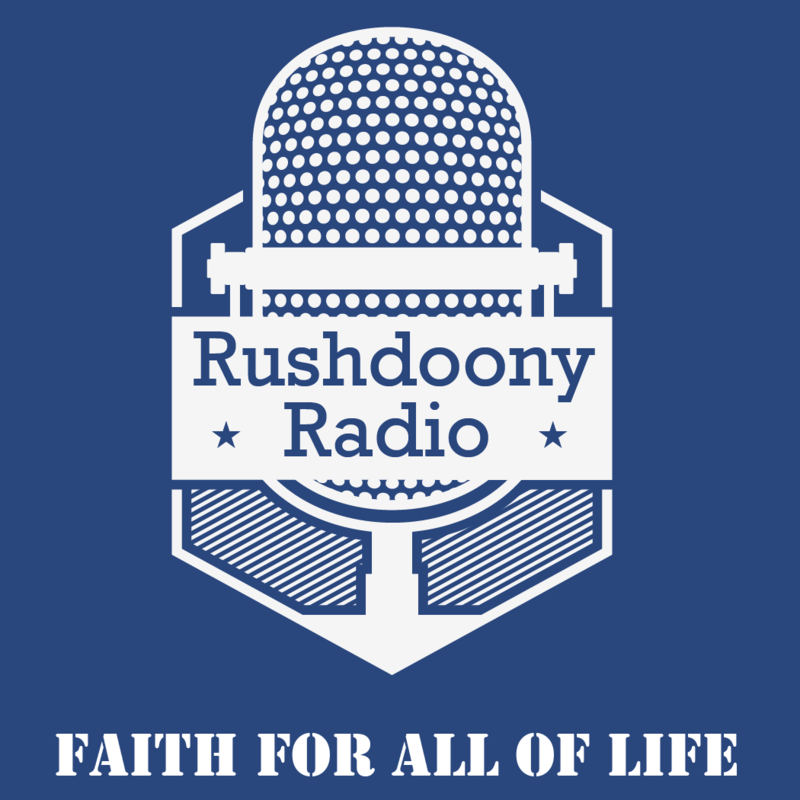 R.J. Rushdoony: 00:00 What kind of protection do we need? This is R.J. Rushdoony with a report on our threatened freedom. R.J. Rushdoony: 00:08 The founding fathers of this country lead by George Washington, recognized that we the people need protection. Part of our problem today is that we have changed our idea of protection. The Constitutional Convention and its members believe that a federal government should be strong enough to provide unity and a defense from foreign and domestic enemies. R.J. Rushdoony: 00:34 On the other hand, they were afraid of a federal government which could be so powerful that it would threaten the freedom of the states and the people. As a result, they wrote a constitution with the intention first of all, of chaining and limiting the powers of the federal government. They truly believe that people need protection, not only from hoodlums, and foreign enemies, but from their own civil government. In fact, the people felt so strongly about this need for protection from the federal government that they insisted on having it spelled out more fully than the Constitution did. R.J. Rushdoony: 01:17 As a result, the Bill of Rights was immediately added to provide that protection from the federal power. Clearly the people held that freedom provides a better protection than a power hungry federal government and they moved to safe guard freedom. R.J. Rushdoony: 01:41 Second, they believed in limited powers, the state to protect the people from crime and disorders. However they definitely did not believe that any civil government can prevent in any effective way the rise of social disorders. Washington and most of the men believed that no legislation could ever replace the need for good character. As a result, those men spoke of the basic need for Christian faith and sound moral character as the basic safe guard for any country. A lawless people will not be restrained by laws. A godly people do not need a policeman on every corner to keep them in line. One town of less than 5,000 people had, in the 1930’s, one policeman, [inaudible 00:02:42] and virtually no crime, an arrest was a rarity. R.J. Rushdoony: 02:46 Today with only 900 more people, there are 18 police and patrol cars and office staff and problems in that town. The difference between then and now lies in the families, the churches, and the schools. The town now has more laws and controls but it is definitely not as good as it was then. The difference is in the people. Doubling the police force again will not help too much because the deterioration in the faith and the character of the people continues. Now they have a problem, not only with crime, but with too much civil government. R.J. Rushdoony: 03:35 The families in that community want protection but how can you protect people from themselves. In other words, we are looking for the wrong kind of protection. The protection we need, can not be provided by the state. Attempts to get it by law only rob us of our freedom. The protection we need comes from a Godly faith and character, not from Washington or the state house. Nothing is more necessary for the nourishing of the protection we need than freedom. It is the seed bed of faith and character.